Xpressman Trucking & Courier, Inc. specializes in pharmaceutical delivery needs. Offering time critical delivery of all pharmaceutical medical supplies and equipment as well as any other pharmaceutical products. Pharmaceutical delivery and transportation can be a very complicated process. There are many specific requirements for packaging products to ensure damage and contamination prevention. 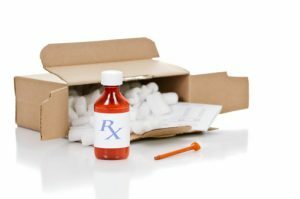 Temperature control is vital to packing, shipping and storing so that the pharmaceutical goods are kept fresh and avoid damaging chemical reactions. At Xpressman we understand and take into account the sensitive nature of this process, our state-of-the-art, temperature controlled and fully secured distribution centers and top of the line technology ensure that your pharmaceutical delivery will always be secure. We understand the importance of privacy when it comes to pharmaceutical products and is committed to high security in all transportation of pharmaceutical goods. All employees are trained and licensed to securely transport and deliver these sensitive products. To ensure proper handling, our drivers are held up to the highest standards of professionalism and accountability. Our extensive infrastructure and vast coverage network make us one of the top logistics partners for many pharmaceutical companies who rely on us for timely and cost-effective delivery. Designed to meet the stringent requirements of the continually growing healthcare industry demand, Xpressman understands and provides smart solutions for such important products. We offer a broad range of delivery options to find a solution that best fits your needs.